Mauricio studied classical composition and conducting at the Federal University of Bahia before leaving to São Paulo to further pursue his interest in jazz music. There he attended the Souza Lima Conservatory on a scholarship and lived an intense period of musical immersion under the coaching of great names in South American jazz. 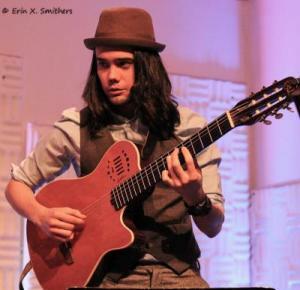 In 2009, Mauricio relocated to Boston, MA, having received a scholarship to attend the prestigious Berklee College of Music. During his time in Boston, he studied under Hal Crook, Mick Goodrick, Dave Samuels and Joe Lovano. Mauricio continues to actively perform with Hiroaki Honshuku's world music supergroup Racha Fora, with bassist Rafael Russi in the vanguard ensemble Vaga Bohemia, and as a leader and sideman with many exciting new artists.